iOS 5.0.1 UNTETHERED JAILBREAK FOR NON-A5 DEVICES IS HERE!!!! Pod2g’s untethered iOS 5.0.1 jailbreak for the iPhone 4, iPhone 3GS, iPod Touch 3G, iPod Touch 4G, and iPad 1, has been released, according the iPhone Dev-Team. A few days ago, @pod2g gave the untether to both the iPhone devteam and the chronic devteam. 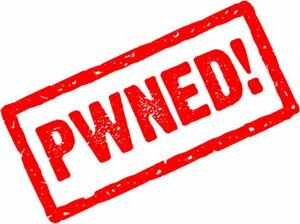 We’ve put it into redsn0w 0.9.10 and PwnageTool, and the chronic devteam put it into a Cydia package (the same set of exploits is in all three). ● If you have one of those devices and are not on 5.0.1 yet, update now! The SHSH window is still open for 5.0.1 If you unlock via ultrasn0w or gevey, make sure you only get to 5.0.1 via a custom IPSW! See the guides at places like iClarified.com if you don’t know how. Once you’re at 5.0.1, use the latest redsn0w 0.9.10 to both jailbreak and untether. ● If you’re already at 5.0.1 with a tethered jailbreak, you have two choices: either run redsn0w 0.9.10 over your current jailbreak (deselect “Install Cydia” if you do that), or install the Cydia package prepared by the chronic devteam. The patches are the same regardless of which you choose. ● Some of you are using a hybrid 5.0/5.0.1 configuration. If so, do not attempt to install this untether over that setup! You will most likely get into a reboot cycle. Do a sync and fresh restore to 5.0.1 then install the jailbreak + untether. This entry was posted in iPad, iPhone, iPod and tagged 0.9.10b1, 5.0.1, cydia, ios, jailbreak, pod2g, redsnow, untether. Bookmark the permalink.